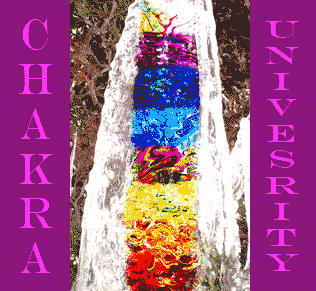 Learn about new community Facebook page called Chakra University. It creates a wonderful opportunity for sharing your knowledge and skill about subtle energy and chakras. Also you might pick up some tidbits of wisdom to share with others. Here you can have some fun learning more about energy, and our energy body and chakras. Of course chakras are important in healing and crystal healing, which is my favorite topic area! Why is knowledge about chakras important? The result is that we can manage ourselves better to overcome stress, illness, accidents and make healthier choices. Learning about the physical body is kind of easier, but still many just ask others to tell them how they actually are feeling. If you like to communicate something in a letter, you must at least have rudimentary knowledge about the art of writing. Artists communicate with images and must know the basics about putting shapes and colors on a medium like a canvas. Does this make sense. Now to live long and healthy we could learn from this example and approach the basics of how our own energy are affected. We handle our energy through our chakras, and if we have chakra balance we also have balance on the physical level. Discover yourself through a healing community like Chakra University? You can discover the solutions to your challenges and stumble blocks by reading and learning more about your own subtle anatomy. It is ultimately up to you to develop your energy connections as friendships and harmonious family groups that will support you in a time of difficulty. You can also develop relations to create your own network of people you take and give support to. The clear intention for Chakra University Community is first of all healing!